Your Sukkot preparations may well involve purchasing an exotic yellow-green citrus fruit a bit larger than a lemon with a leathery rind, a funny little pollination stem (called a pitam), and a characteristically fragrant smell. But why? In his new, slender, densely researched, and richly illustrated Etrog: How a Chinese Fruit Became a Jewish Symbol, David Z. Moster explains the geographic and textual story behind the citrus fruit that has more seeds than pulp, never rots but instead slowly dries out, and appears in the U.S. market at exorbitant prices for the sole purpose of being waved together with branches from three trees indigenous to the Middle East on the holiday of Sukkot. Let’s start with the textual basis. Leviticus 23:40 describes the four species taken together on Sukkot. These are three kinds of leafy branches (palm, willow, and myrtle, perhaps) and the pri etz hadar—what ancient Jews eventually identified as the etrog. Even in antiquity, though, it was not known exactly what was meant by “pri etz hadar.” There are two reasons why it was difficult to ascertain this term’s meaning. First, a parallel passage in Nehemiah mentions only leafy branches (five kinds, in fact, as compared to the four items listed in Leviticus). Second, the grammatical construction of this phrase, a chain of three dependent nouns, renders the meaning ambiguous. “Pri etz hadar” could mean “beautiful tree fruit” (emphasis on the fruit as being beautiful), “fruit of the beautiful tree” (emphasis on the tree that bears the fruit as being beautiful), or perhaps “beautiful fruit tree” (not a fruit at all but rather a tree that bears fruit and is beautiful). To add to the confusion, it could also be singular or plural, and some have argued that the word “pri” (fruit) is an error in Leviticus and that one should in fact substitute the similar-sounding word “po’arei” (branches). Naturally, all of these readings have rendered different interpretations, which Moster explains at length and then summarizes in a handy (and, at this point in his book, necessary) flow chart. 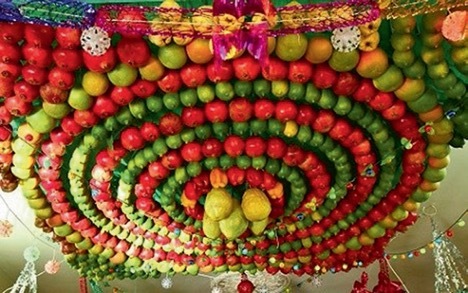 My favorite of the nonrabbinic interpretations is the Samaritan reading that the Sukkah is to be decorated with numerous beautiful tree fruits. When Darius I conquered India in 518 B.C.E., the fruit spread to Persia. Now it was called wādrang, which seems to be the linguistic precursor to the Aramaic word “etrog” (and also the English word “orange”). It later became known to Greek and Latin writers as the “Persian apple” or “Median apple,” which is why its scientific name is citrus medica (“medica” meaning “Median,” not “medical,” though it was used medicinally). From insignificant citrus variety in China to medical ingredient in India, the etrog was regarded in Persia as a prized exotic species and carried from province to province. Throughout their vast empire, the Persians built royal outposts bedizened with generously irrigated ornamental gardens called pairidaeza or “paradises.” As Moster explains, these paradises were “botanical gardens, zoological enclosures, and lodges meant for hunting, leisure, dining, and accommodation” for the ruling class. One of these paradises was constructed after the Babylonian exile and before the conquests of Alexander the Great—that is, sometime between 538 B.C.E. and 332 B.C.E.—in Ramat Rachel, which sits on the outskirts of present-day Jerusalem and is today home to a kibbutz. Archaeologists have recently positively identified (based on an analysis of fossilized pollen trapped in the plaster of one of its pools!) the presence of 11 native and foreign species in that paradise, including the etrog. But why would Jews have decided that when the Torah commanded them to bring the pri etz hadar on the 15th day of the seventh month it meant the etrog, a fruit that was unknown in the Land of Israel before the Persians? Moster explains that as Jewish practice became increasingly legalistic and textual—which is to say, as Jews began to look in scripture for more concrete rules about ritual—texts like Leviticus 23:40 and ambiguous phrases like “pri etz hadar” suddenly cried out for halakhic definition and explanation. Some ancient sources, including less canonical Aramaic translations of the Bible (Targum Pseudo-Jonathan and Neofiti) and a rabbi quoted in the Jerusalem Talmud, interpreted this phrase as simply “fruit from beautiful trees.” But by the end of the Second Temple period, the much more specific identification of pri etz hadar as etrog—found in Josephus, Targum Onkelos (the most widely accepted Aramaic translation of the Bible), and the Mishnah—won out. 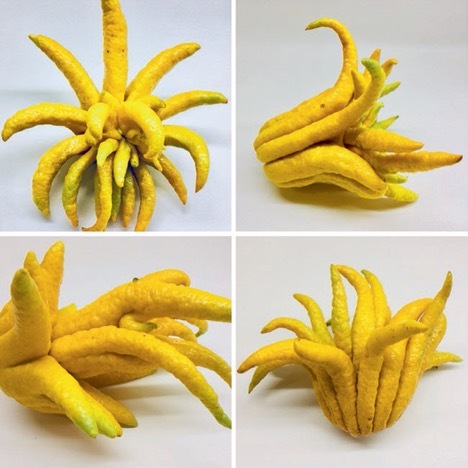 Moster argues that the etrog was chosen as the “beautiful fruit” precisely because it was exotic, the prize of the Ramat Rachel paradise. Unusual in color and smell, used in medicines and rarely consumed because, well, between the thick rind and copious seeds, there simply wasn’t much fruit to be had, the etrog was a good candidate for the role of “beautiful fruit.” The etrog was strange in other ways, too: The tree blossoms year-round and is covered in thorns. And perhaps more significantly, in Israel it cannot grow without a great deal of artificial irrigation. In a year of inadequate rainfall, there would be no etrogs. This may have made it both a symbol of water and a talisman thought capable of calling down rain—a powerful tie-in to the fall harvest festival. 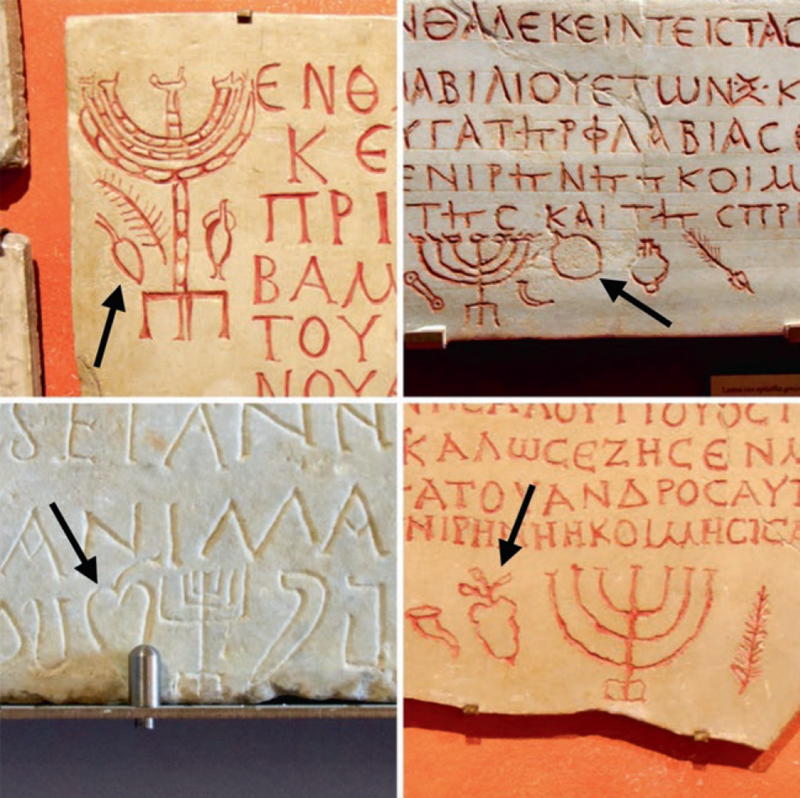 Ancient Jewish tombstones with images of the lulav and etrog. Once Leviticus 23:40 was understood by Jews as a description of a lulav of three bound boughs—date palm, myrtle, and willow—and an etrog, this combination became an important Jewish symbol (alongside other symbols of Temple ritual like the menorah, shofar, firepan, and ark) found on synagogue walls, coins, and tombstones. In fact, the presence of a lulav and etrog icon signals to archaeologists that an ancient synagogue is Jewish rather than Samaritan. (The Samaritans do not interpret Leviticus 23:40 as a lulav and etrog and therefore have not incorporated this symbol.) As Moster points out, it’s not only archaeologists who find this symbolic distinction useful—it probably was significant to the ancients themselves. Since the Samaritans (and early Christians, for that matter) also incorporated many of the same Temple symbols as Jews did in their iconography, the combination of the lulav and etrog was, for a time, possibly the only uniquely Jewish symbol. I do not know why the etrog was the first citrus fruit to make its way westward from Southeast Asia. Perhaps its anatomy had something to do with it. The etrog has an abnormal abundance of rind, which means it dries out instead of rotting or spoiling like other citrus fruits. This may have allowed its seeds to travel in a safe, fragrant container for hundreds of miles before being replanted. . . . [T]he etrog’s swiftness is not the only way in which it was lucky. It was by no means predetermined that the etrog was to become the peri ‘eṣ hadar of Leviticus 23:40. These three ambiguous Hebrew words allow for an abundance of other identifications, including palm fronds, cedar cones, tree trimmings, olive branches, regular fruit, and myrtle branches. 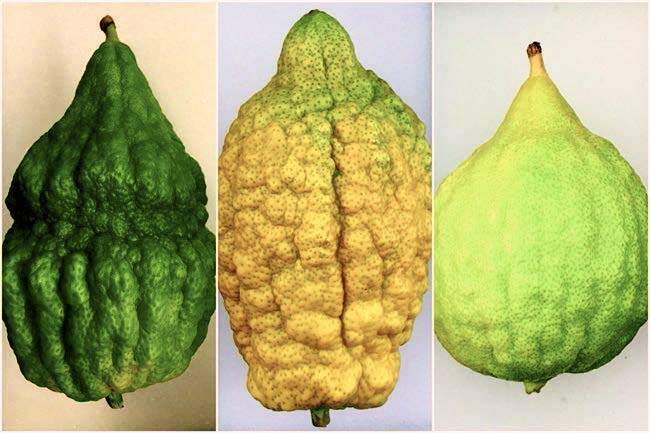 Yet, despite the many possible interpretations, the etrog won out, and has come to be cherished in antiquity and today as the most beautiful and important Jewish fruit. Perhaps, in the twenty-first century in which we live, with its globalism, mass migrations, and melting-pot ethos, the fruit should be conceived of as “beautiful” (hadar) for the successful journey it has made. 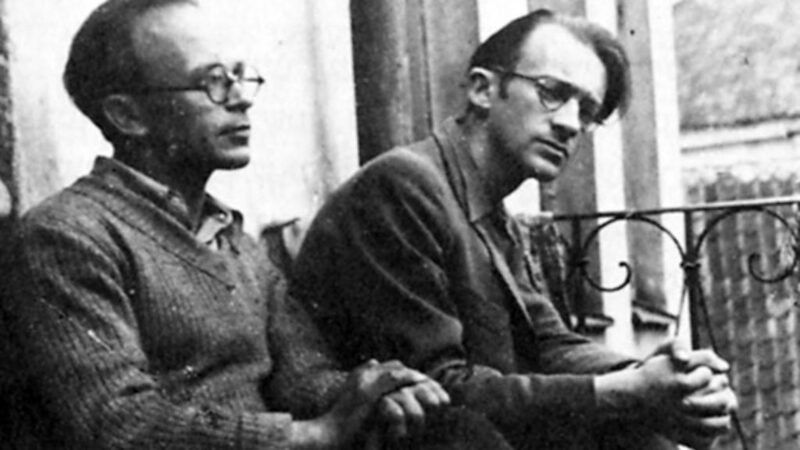 In many ways, there is nothing more beautiful than a migrant who has been able to leave behind the pressures of his or her youth to find a new homeland in which he or she is loved, honored, and esteemed. Looking for something else to read? We recommend this piece on the medieval Ashkenazi custom for pregnant women to bite off the tip of the etrog after Hoshana Rabbah; David Stern’s piece on the haggadah of the Jews of Kaifeng, China; and Shari Saiman’s piece on a Sukkah architecture competition. And yet that Samaritan suka has etrogim in it, doesn't it? Also, I don't know who to believe, but according to Haaretz, the layer of the Ramat Rachel garden that grew the etrogim dates back to the Persian conquest of Babylon (the earliest of the date-range Moster gave). That is, assuming everything else in Moster's book to be true, it seems likely the Jews (or even the Persians themselves) brought the etrog to Israel almost immediately, and that the etrog had made its way to Persia through trade even before Darius conquered India. If the destruction of Jewish culture and Jewish life were intertwined, then the reverse was also true: The rescue of books, manuscripts, Torahs, and so on was almost as much a form of resistance as the preservation of life itself.